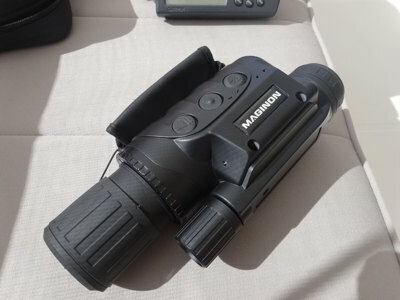 Over the past few years we have purchased a few items, possibly considered toys by some, but things that we think have made our sailing easier and safer. Over the coming weeks we will add details about these items. Spot Device This device enables us to let our family and friends know where we are at any time. It utilises GPS technology and the satellite phone network to transmit our location to Spot and then via email, SMS to people we nominate. We can also link it into our Facebook page and this web site. The device is relatively cheap (this one is a Spot 2 and no longer available) and costs about AU$200 per year for the service. 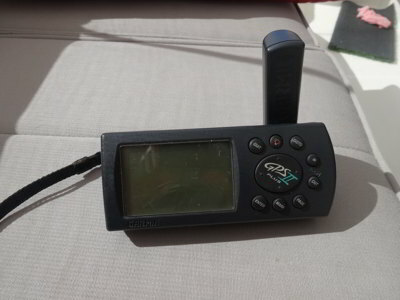 Portable GPS This simple GPS is used for navigating our dinghy in and out of shallow or reef areas, especially when it is darker. 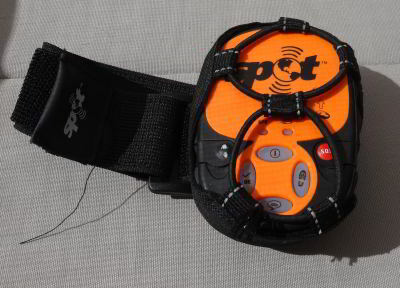 We also use it for locating dive sites. 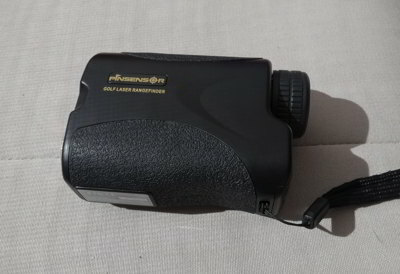 Rangefinder This is a golf rangefinder. 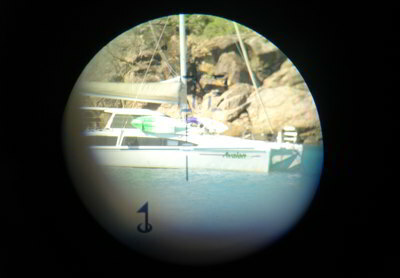 We use it to check distances to other boats when anchoring and also to the shore to make certain we are not too close. This is the screen you see, the distance is given above the cross-hairs, a bit hard to see in this photo. Very simple to use. Cost was about AU$130 from Ebay. Night Vision This is a night vision device we purchased from Aldi. It not only intensifies the weak night time light, it has infrared for closer viewing. It shows up mooring buoys clearly as well as dimly lit boats. You can also take photographs and video to a micro SD card.